Grand mal seizures or toni-clonic seizure is a type of seizure disorder that is characterized by loss of consciousness and involuntary muscle contractions. Grand mal seizures occur due to an abnormal functioning of the brain and the neurological system. Abnormal conduction of electrical impulses in the brain’s activity can cause grand mal seizures. However, there are no known causes for the abnormal electrical impulses of the brain, which can cause grand mal seizure. Experts believe that when a person who is prone to grand mal seizures or other seizure disorders, he or she must stay away from caffeine. Caffeine is a stimulant, which can directly affect the nervous system. For some people, after they drink caffeinated beverages, such as coffee, tea, soda, and energy drinks, they feel anxious, restless, palpitations, dizziness, nausea, and jittery. Those after effects of caffeine are not normal. Caffeine can really affect the nervous system, which can increase the risk of grand mal seizures for people who are prone to any seizure disorders. Caffeine can increase the risk of seizure for some people, since caffeine can lower the seizure threshold. 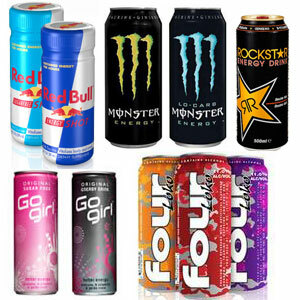 Energy drinks contain high levels of caffeine. There are some people who are dependent with the effects energy drinks can give them. However, most people do not know that in every 16 ounces of energy drink, it contains caffeine more than the daily recommended amount for teenagers, and more than half the daily recommended amount for adults. It has been proven by the American Academy of Neurology that excessive intake of energy drinks can cause grand mal seizures to people who are prone to grand mal seizures and other seizure disorders. Taking energy drinks on an empty stomach can increase the possibility for grand mal seizures to happen. If you know that you are prone to grand mal seizures and any other types of seizure disorders, it is best if you stay away from any beverages that are caffeinated. If you feel that you really need to drink caffeinated beverages to keep you awake, then why not do some adjustments to your sleeping habit for you to feel energized during the day? Caffeine will not increase the risk for grand mal seizures from happening, it can also be a risk for the development of heart diseases and other medical conditions. good afternoon may I know about this product .